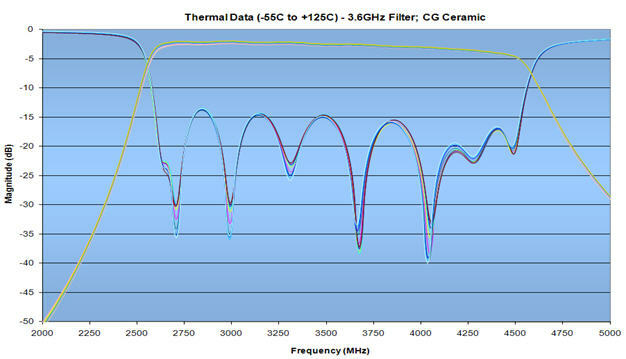 Primary ceramics utilized in DLI filter designs are CF (εr = 23) and CG (εr = 67). 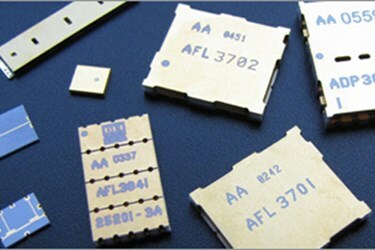 Both of these materials exhibit excellent temperature stability across a wide range of frequencies. Regardless of the filter operating frequency, guard band needs not be designed into the device to meet a demanding temperature requirement. CF and CG do not outgas, do not exhibit signs of aging and have been exposed to a mega-rad of total radiation dosage with no degradation in performance. The filters will perform the same from outer space to the desert. 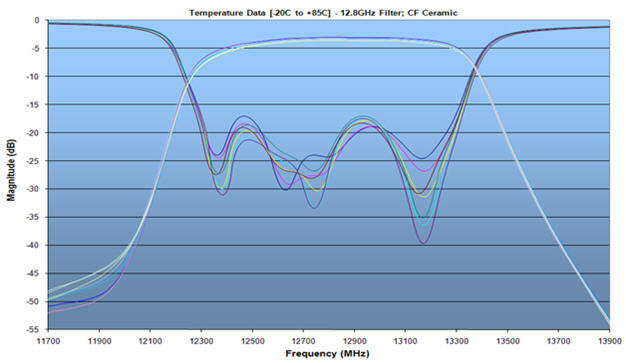 The graphs below demonstrate the extreme stability of DLI custom ceramic devices.